Does your Company have a strong online presence? You need to setup Online Advertising for your Company at some point in your business. The best place to start building your customer base is online marketing via Google Adwords. 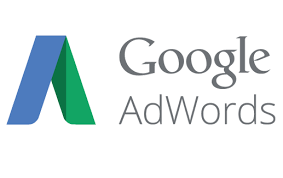 We can setup your Adwords Accounts and Advertisements in the quickest possible timeframe. This a great way to advertise your company online. When potential clients are doing a search on Google, the businesses which uses Google Adwords appear at the top. Not many people are still using the Yellow Pages to advertise their Company… With today’s access to the internet many people search for a service or product on Google instead of using the local newspaper or even the Yellow Pages. When potential clients are doing a search on Google, the businesses which uses Google Adwords appear at the top. This helps them to get most of the clients that are searching on Google. With our Google Adwords service, we setup 3 ads for your business which will enable your website to be featured when people search for specific products or services. For example, most days when people search for “pty company”, “pty company registration” or other start-up services on Google.co.za, they would see our adverts advertised at the top of the Google results. You will be able to choose who will be able to see your adverts. So if you want your advert to be in a specific geographic location for example a specific City, then your advert will only be shown in that City. You are not limited to advertising to one device such as conventional media that can be seen on a Television. You can market to people using desktops, laptops, tablets and mobile devices. You can easily keep track of how much you spend. With Google Adwords you will be able to see how much you are spending. Google Adwords shows you how many people have clicked on your adverts and how many of them results in sales. We will review your products, services and website. Using the information provided, we will setup an Adwords Account for your Company with three adverts. According to your budget we will take the Adwords Campaigns live and transfer control of it to you. I cannot being to tell you how impressed I am with the professional service you have delivered, thank you so much, it is truly appreciated. Thank you for your professionalism and dedication. I am truly satisfied with your service and your efforts. I am ecstatic that my company is finally registered as a legal entity. I cannot thank you enough. Now its time to start doing business. Thanks for taking the stress out of doing it myself. This is definitely money well spent!